Get the NMO basics with the latest in NMO information, videos, and answers to frequently asked questions. In addition to native VoiceOver ability, you can modify font size and font thickness with accessibility settings. 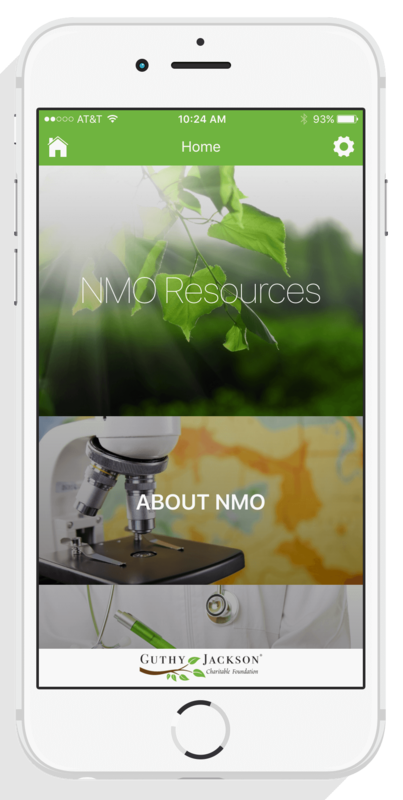 As an NMO patient, I am so very grateful that the GJCF created this outstanding NMO resource app for NMO patients, family members, and physicians! It is most comforting to know that if I experience an NMO attack, I have this excellent app to show and educate physicians in the emergency room treating me who may be unfamiliar with this rare neurological disease. This resource contains a wealth of useful and valuable information, and is organized in a format that is very easy to navigate. A superb NMO resource! Thank you for this gem? Tremendously valuable and easily accessible resource. Clean design and intuitive layout make it a joy to use. An exceptional tool.